economistaTerry: Why Obama's Visit To Africa Will Cost Between $40m to $80m. exactly what the Secrete Service does. They always provide nearly all the resources, rather than depend on local police forces or military authorities. Many details about foreign presidential trips are classified for national security reasons, and there is little public information about overall costs, but this time, many news agencies have sniffed the aroma of documents containing some the details. The colossal efforts to protect the U.S. commander-in-chief on his trip to three African countries in my opinion is "outré". A Navy aircraft carrier or amphibious ship, with a fully staffed medical trauma center, will be stationed offshore in case of an emergency. Military cargo planes will airlift in 56 support vehicles, including 14 limousines and three trucks loaded with sheets of bulletproof glass to cover the windows of the hotels where the first family will stay. Fighter jets will fly in shifts, giving 24-hour coverage over the president’s airspace, so they can intervene quickly if an errant plane gets too close. 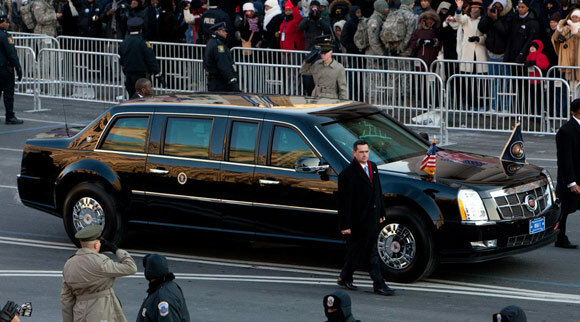 At least 445 secret service agents will be accompanying the president. Military freight planes will bring a range of vehicles, including one with state-of-the-art communications systems as well as a truck to scramble radio frequencies in the immediate vicinity of Obama. I am not the only one projecting the entire trip to cost between $40m to $80m. The Washington Post disclosed a report from the Government Accountability Office, which found that Clinton’s 1998 trip to six African nations cost the U.S. government at least $42.7 million. The level of sophisticated security has multiplied by more than 10 times and my projection, taking into consideration inflation, might even be low. News 24 projects $50m to $90m. Why huge sums of money, which can improve aspects of an economy, will be spent on foreign trips by the U.S. President is a topic i may delve into some other time. Thanks for reading.